Grip Trailer Proves High-Speed Combat Racing is Back | Nerd Much? 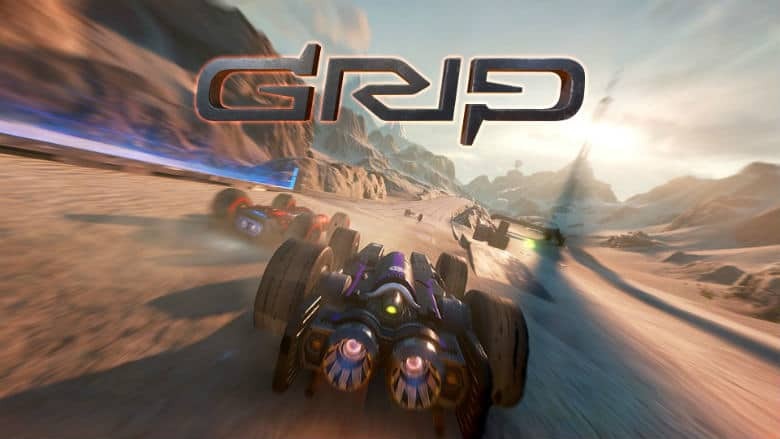 Wired Productions has confirmed that their “ferociously fast, futuristic arcade combat racer” Grip is still slated to be coming later this year. The developers at Caged Element boast that the game is the “fastest racing game on four wheels.” And to prove it, they dropped an intense new trailer to show you. To win, “players must be merciless in their quest to cross the finish line.” The game will host 11 different weapons to inflict punishment with, and power-ups to increase your abilities and better aid you toward the win. There are 15 different armored cars to choose from. Some are sleek and swift, while other are heavily armored in order to bully their way throughout the racing field. Players will also have the ability to customize each of the vehicles within Grip. You can switch up paint styles, wheels, decals, and other fine details. The developers promise more details on the game, including its unique game modes, in the coming months.